If you would like to customize Samsung Galaxy Note 9 Google Settings, then you’re in the right place. We will be giving you some pointers in order to help you better customize you google experience on your Samsung Galaxy Note 9 device. Google services are virtually everywhere. Their services are somewhat a necessity in this 21st century day-to-day life. I can’t even remember the last time I went a whole day without using any of their services. On a daily basis, I make use of the Chrome Browser, Google Mail (Gmail), Google Search and Not forgetting Android which is owned by Google. It’s like they are everywhere these days. With everyone using their services, the experience from user to user isn’t the same as you would think and this is one thing I like about Google. You always get the freedom to customize your experience to suit your preference or style or meet your needs. 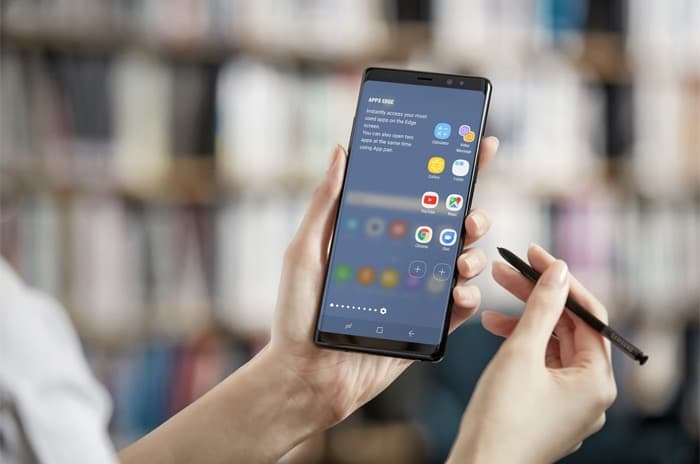 Every Android device, which Samsung Galaxy Note 9 is, has an option to customize a whole bunch of Google services. You can customize things Play games which are the games you’ve been playing or have played on your Android device. Ads, Nearby, Location among others. We will be showing just how to access and customize these google settings on your Samsung Galaxy Note 9 device. Open the Settings Menu/App, Scroll Down and Click on Google. The first option will be your Google Account. Below is that, you’ll find Google Services which can be customized. All you have to do from here is to Click on each, one after the other and customize them the way you want. For example, you can click on Ads and Opt out of Ads personalization which means that Google might not show you ads based on your interests. Google uses things like your google search history to know what you’re interested in and in turn show you ads based on that. So if you turn it off, you might not be interested in the next ad google shows you. Another example will be to Click on security and turn off Find My device, which is a service Google offers to help locate, lock or wipe your phone in the event that your phone Gets lost or stolen. If you’re already using the Samsung FindMyMobile service and prefer that to Google FindMyDevice, you can decide to turn Google’s FindMyDevice Off. Having the two on might seem kind of redundant doesn’t it? That is how to customize Samsung Galaxy Note 9 Google Settings. If you have any questions about the customization process of the Google Settings you can also send your questions to Google by going to the Settings Menu >> Google >> tap on Three dots at the top right corner of the screen and select Help & Feedback then describe your issue.